We are all too aware of the hectic schedules families face. So, why do we ask you to add 20 minutes of daily reading? Research supports daily reading and below we share a few of the benefits for you and your child. Our brain develops as we exercise it. Reading uses many of the areas of the brain. The visual cortex works as your eyes track the words on the page and look at the illustrations. You build memory as you make connections between what you already know about the topic of the story and its content. You integrate new information learned through reading further building your knowledge base. Reading, and being read to, provides an enriching and complex brain activity. Generally, the more time you are exposed to something and the more time you spend practicing it, the easier it becomes to accomplish it. This is absolutely true for reading. Research shows that children who have repeatedly been exposed to books from birth exhibit strong reading abilities. There is a strong association between a child’s ability to read and her academic performance. Because so much of our schooling relies on our abilities to read, children must have strong reading skills to succeed and thrive in school. Because we are busy it is often difficult to have quality one-on-one time with our children. Finding 20 minutes every day for reading together provides important bonding time. Spending 20 minutes reading independently provides you with quiet, uninterrupted time together engaged in the same activity. No matter their age, there is nothing more powerful than snuggling with a child while reading a few storybooks aloud. "There are many little ways to enlarge your child's world. Love of books is the best of all." Reading Fluency is the ability to decode text with speed, accuracy, and the appropriate expression. Reading fluency is important because it provides a bridge between word recognition and reading comprehension. Since fluent readers don't have to concentrate on decoding the actual words, they can focus their attention on what the text actually means. They can make mental connections throughout the text, as well as apply those connections to their personal backgrounds and experiences. Simply, fluent readers recognize the words and comprehend their overall meaning at the same time. Math Fact Fluency is the ability to recall the answers to basic math facts automatically and without hesitation. Educators and scientists agree that the ability to recall basic math facts fluently is necessary for students to attain higher-order math skills. In other words, if students develop rapid, effortless, and error-less recall of basic math facts, it leaves their attention and memory available to attack more complicated problems such as long division. What is basic fact fluency? Being able to add and subtract within 20 and multiply and divide within 100. Create a consistent homework routine. ~Ask your child to explain. Ask questions about the steps your child uses to solve a problem, such as Why did you put that number there? Or, What does that zero mean? Although it's tempting to give children answers when they're confused, they learn more if you help them discover the answers for themselves. For example: Have you seen problems like this? What is the problem asking you to do or to find? Let your child know that every mistake is an opportunity to learn. Not because you have to, but because you love to! No matter their age, read aloud daily with your child. 6. Reading aloud provides an example of how fluent reading sounds. 5. Improving vocabulary improves reading and writing. 4. It opens up new worlds for you and your children. 3. It's a conversation starter, and a great way to talk about emotional health. 2. 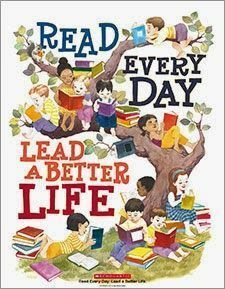 It can lead to a lifelong love of reading. 1. Time spent together is always worthwhile. The more our students practice, the more they learn. • Multiplication War: Players each draw two cards from a deck, then multiply/add them together. The player with the largest product/sum wins the round. • Dice: Students roll two dice, then multiply/add the 2 numbers they rolled together. • Dominoes: Draw a domino that is face down. Multiply/add the dots on either side of the domino together. • Number Draw (Great car game for everyone, excluding the driver of course! ): Two players put their hands behind their backs. On the count of three, partners draw and show fingers. The first person to say the correct product/sum wins the round. • License Plate Math: Using numbers from the car in front of you, add/multiply the two largest numbers, find the difference between two numbers, or look for patterns etc. Why Connect Math and Literature? These titles, and MORE, are in our school library. Ask Ms. Lonergan or Mrs. Asselin where they can be found! Sir Cumference and the Dragon of Pi is part of a series of Math Adventure books. In this story Sir Cumerference has a bellyache. Trying to help, his son Radius accidentally turns him into a dragon. Radius learns how to measure a circle so that he can give his father the correct dose of a potion. Readers are exposed to math vocabulary such as diameter, circumference and Pi. Anno's Mysterious Multiplying Jar is a picture book about factorials. This story illustrates how numbers multiply by showing objects nested inside each other. It begins with one island, and on the island there are two countries, and in each country there are three mountains… and so on. Math Travel is part of a series of Math Alive books. In this series students can discover how Math make things work in real world situations. In Math Travel, readers develop an understanding that people all use Math to make sense of the world. Readers fly to Paris and practice elapsed time. They stop in Africa to learn about pyramids. Enjoy problem solving activities and games from different cultures. Math for All Seasons is a picture book contains sixteen poetic math riddles. For each riddle, a certain number of objects are grouped together in different ways. The riddle tells the reader a quick and easy trick to count the items. This book is great for learning new strategies for faster and easier counting.